Developed in partnership with KEDGE Wine and Spirit Academy in Bordeaux, France, the new innovative program has been designed to give the international wine industry access to the best minds from two of the world’s greatest wine regions: Adelaide, Australia and Bordeaux, France. Program participants will have the opportunity to ‘taste’ the best each region has to offer, immersed for 5 days in each region. An academic suite will explore global market insights, research and development, wine marketing, and consumer behaviour, whilst an immersive ‘hands on’ element will see participants given exclusive access to chief winemakers and wine business leaders through vineyard tours and master classes. The program was met with great enthusiasm by the government and industry officials, and representatives from France and Australia’s wine makers who attended the event. Senator, The Hon. Anne Ruston, Assistant Minister for Agriculture and Water Resources (Centre) with Professor Jacques-Olivier Pesme from KEDGE and Ms Marni Ladd, Director of UoA Wine Business. The fusion of Old and New World wine making cultures set against a backdrop of two countries similarly dedicated to producing the best wine their region could offer was pinpointed by Australia’s Assistant Minister for Agriculture and Water Resources, the Hon Anne Ruston, as the critical factor in establishing the program as a truly unique and holistic opportunity for participants. Speaking at the event Patrick Seguin, Chairman of the Bordeaux-Gironde Chamber of Commerce, highlighted that not just the international community would benefit from this program – that French and Australian winemakers would do well to recognise the opportunity presented by learning from each other’s experiences. Once the official proceedings finalised, guests were invited to taste wines from the two regions. South Australia’s offering was introduced by wine writer and critic Nick Ryan, whilst the array of French wines were presented by Patrice Malka, of KEDGE Wine & Spirits Academy. 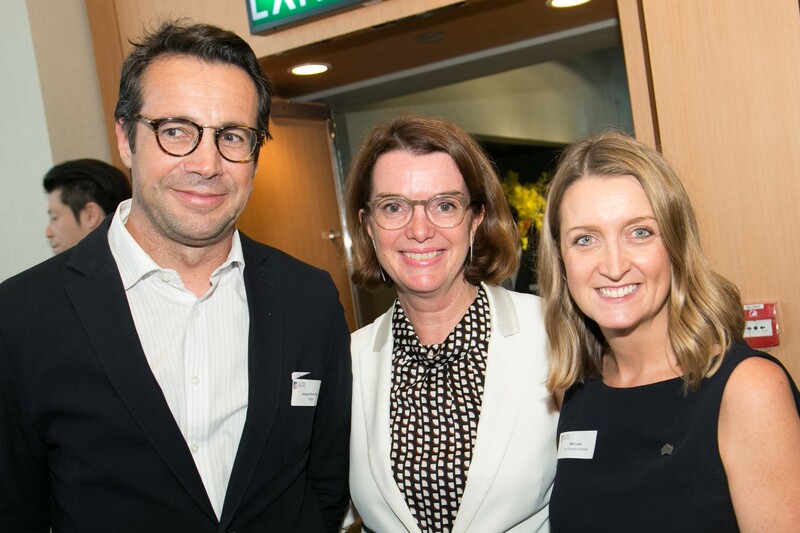 It was terrific to see alumni from The University of Adelaide enjoy a glass of fine wine, and an informal chat with French and Australian dignitaries, and leaders of wine from both areas. Due to the intimate nature of the program, places are capped at 20 participants per offering, so interested parties are encouraged to register their details at www.business.adelaide.edu.au/execed/wine to secure their spot. 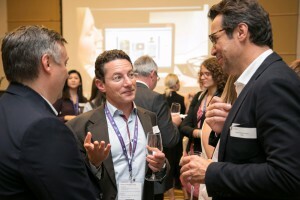 This entry was posted in Alumni Newsletter articles, Wine Business and tagged event, Vinexpo Hong Kong. Bookmark the permalink.